OLYMPIA – With recent rain and current weather models predicting more moderate conditions in western Washington, the Washington State Department of Natural Resources (DNR) is adjusting the current statewide burn ban. Recreational campfires will be permitted in established fire rings in official campgrounds on DNR-protected lands west of the Cascade crest, the agency announced today. Click here to read the bulletin. OLYMPIA – August 12, 2014 – Washington State Parks announced today that campfires in all state parks will be prohibited until further notice to help prevent human-caused wildfires during the hot, dry season on both sides of the Cascade Mountains. The prohibition on campfires in state parks complies with the announcement Monday by Washington State Department of Natural Resources (DNR), which notified the public of a ban on all outdoor burning on lands protected by DNR, through Sept. 30. That agency has fire protection responsibility for all but a few state parks. Prohibiting open fires and campfires in all state parks is intended to minimize public confusion and cooperate in DNR’s effort to prevent wildfires. DNR has said that significant demands are being placed upon fire suppression resources from regional and statewide firefighting efforts. Click here for wildfire danger and outdoor burning regulations in Washington state from the Department of Natural Resources. 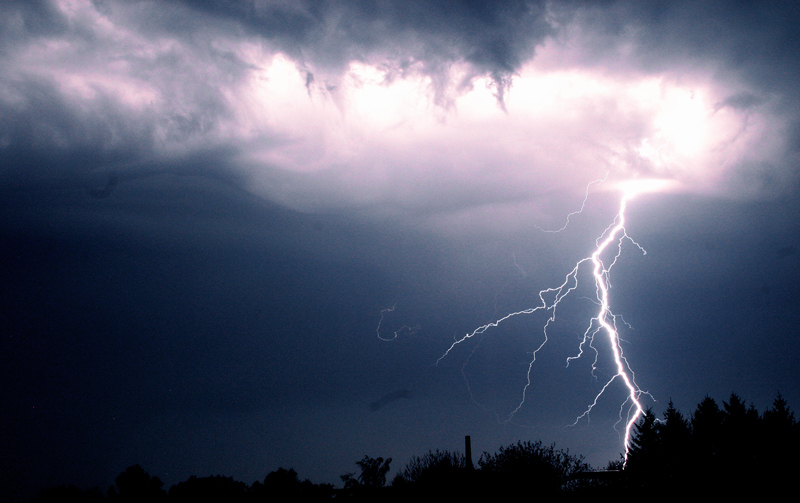 Thunderstorms and camping in mountainous areas: Do you know your lightning safety guidelines? The summer camping season brings a lot of campers and RVers into the outdoors and especially to cool higher altitude destinations as the heat increases. But you may have read recently in the news that two people were killed and others injured in the Rocky Mountain National Park from lightning strikes in areas above the treeline that are prone to afternoon thunderstorms. KNOW THE WEATHER: Bright summer days can turn stormy quickly, with lightning, wind, and even hail. Ask rangers about the weather patterns of the area you are visiting. GET YOUR OUTSIDE ADVENTURES IN EARLY: Start your hike early in the day so you can return by noon. Hike to below treeline or to safe shelter before a storm strikes. STAY ALERT: If you hear thunder or see lightning it is close enough to strike you. At a high altitude, when skies look threatening, a thunderstorm can develop right overhead. IF YOU ARE ABOVE TREELINE: If a storm threatens, get inside your vehicle immediately, do not lean against the doors, and wait at least 30 minutes after a storm passes overhead. If you are away from a vehicle, move away from summits, isolated trees and rocks. BELOW TREELINE: If you are in a forest, stay near a lower stand of trees. Stay away from tall, isolated trees or any tall objects. WHAT SHELTERS ARE SAFE: Tents, trees, small caves, and picnic shelters are not safe. A vehicle or a larger, enclosed building are. Avoid water and any metal. You can get more information on lightning safety from the National Weather Service. 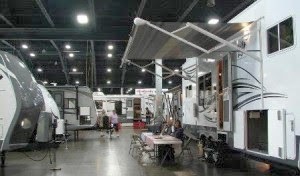 The 2014 edition of The Puyallup RV Show is coming May 1-4 to the Washington State Fair and Events Center in Puyallup, Washington. This year's event will expand in both size and scope. More than 16 RV dealers (four more than last year) are expected to exhibit at this year’s show providing more variety of RVs of every size and shape. The motorhome market has been rapidly expanding over the past year with production up nearly 40% since 2013, assuring the best selection of motorized RVs since the recession. The show will display RVs to meet every leisure need from a tent trailer to a vacation home suitable for your lakefront. Not only will there be hundreds of RVs to browse, but vacation homes, too. This year’s Puyallup RV Show will include two seminar rooms with a full slate of speakers. 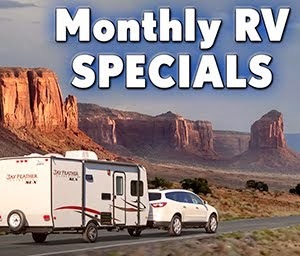 Currently scheduled are technical seminars by nationally renowned Gary Bunzer (The RV Doctor), RVing in Alaska, proper dinghy towing, home schooling on the road, RV financing, travel trailer hitches, boondocking & backroads, choosing a firearm for RV travel, fifth wheel hitches and concealed carry permits for RV travelers with more topics in the works. Stay tuned to this blog and the show website for additional details. 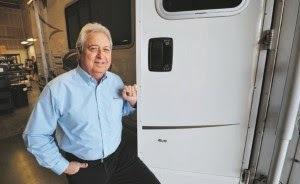 Author and pro RV driver Lorrin Walsh will present a RV driving school where “students” can get a taste of the ins and outs of maneuvering a RV. Tips will be supplied for owners of motorhomes, travel trailers and fifth wheels. Retro is all the rage these days and you can expect to see some classic RVs at this year’s show. Vintage RV clubs from across the northwest have been invited to display at the show. Currently the oldest RV to be shown is a 1947 Westwood Coronado. If you have a vintage RV and would like to join in on the fun, send an email to: showdirector (at) mhrvshows.com. By attending The Puyallup RV Show you will also be supporting Washington State Parks. One dollar out of every $10 adult ticket and $9 senior ticket purchased at the box office will be donated to the state parks system with show sponsor WSECU matching the donation. Recently, in the Idaho panhandle and eastern Washington, an alarming number of trees infected with root rot have been identified in developed campgrounds. The Forest Service has been trying to remove hazard tree with minimal impact on the campground and campers. However, the problem is reaching levels where the Forest Service feels, for camper safety, campgrounds may temporarily need o be closed. If you plan on camping in the above mentioned area, please call ahead for current conditions to ensure you will find that your campground is available. To recognize a hazard tree, first look up! 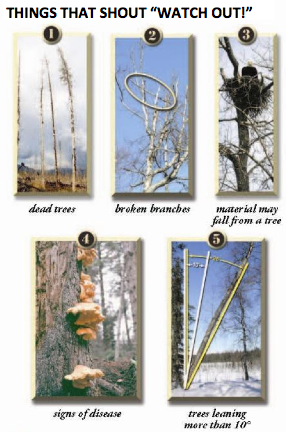 Tips to identifying a hazard tree from Hazard Tree Safety brochure are: broken branches scattered on the ground, signs of disease such as mushrooms, split bark or a cracked trunk, soil heaving around the base of the tree, and the tree leaning at more than a 10% angle. Move your campsite out of the danger zone. In other words, if the tree is 20-feet tall, your campsite should be at least 25-feet away from that tree. And never under-estimate the danger posed by a hazard tree of any size. Camp safely. The guide has been thoroughly updated for 2014, with revised or expanded listings for each property, up-to-date rules and regulations, and the addition of several parks and scenic bikeways. Special icons denote parks with pet-friendly yurts or cabins, day-use parking fees, scenic views, and other features as well as facilities that are accessible to people with disabilities. Notable enhancements to this edition include an enlarged statewide map, an index that can be used to look up individual parks, and a new “snapshot” design with photos that convey the diversity of each region. Feature stories explore new trails in development, the 20th anniversary of yurts in Oregon State Parks, and the new nature play area at Silver Falls State Park. There are also recommendations for tidepooling and wildlife viewing spots and profiles of Golden State Heritage Site, the historic Wolf Creek Inn, and the newest state park, Cottonwood Canyon, in north-central Oregon. The 2014 Guide is available in print from OPRD’s offices in Salem and Portland as well as online: the electronic version has virtual pages that can be turned as well as clickable links to park webpages. Detailed information about any park is always available by calling the toll-free State Parks info line at 1-800-551-6949. 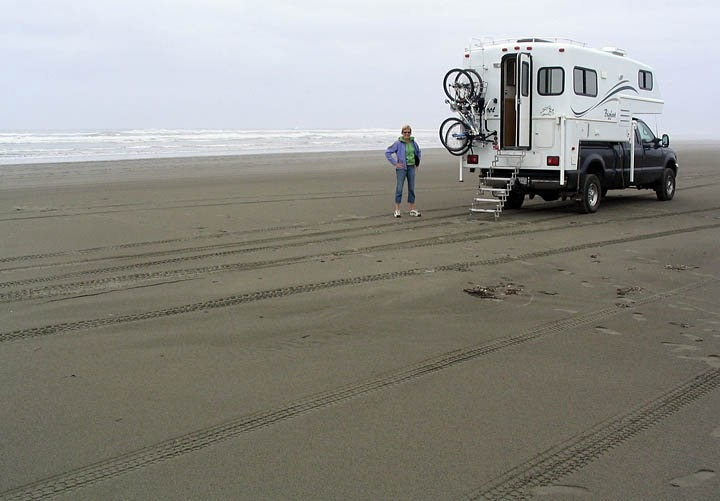 Camping reservations can be made through Reservations Northwest (1-800-452-5687) or by visiting the website. 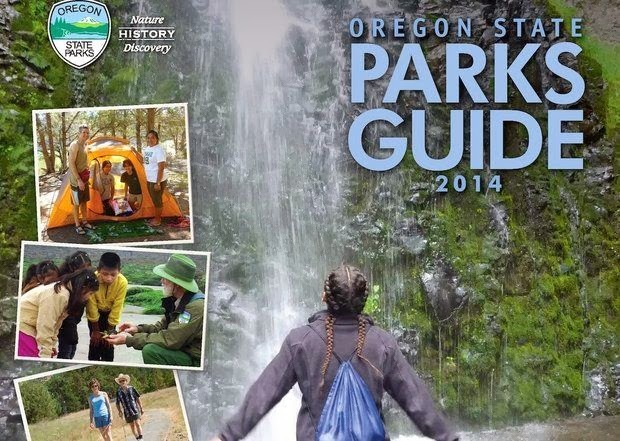 For your online 2014 Oregon State Parks Guide, click here. For the Oregon State Parks website, click here. All photos courtesy Oregon Parks and Recreation Department. 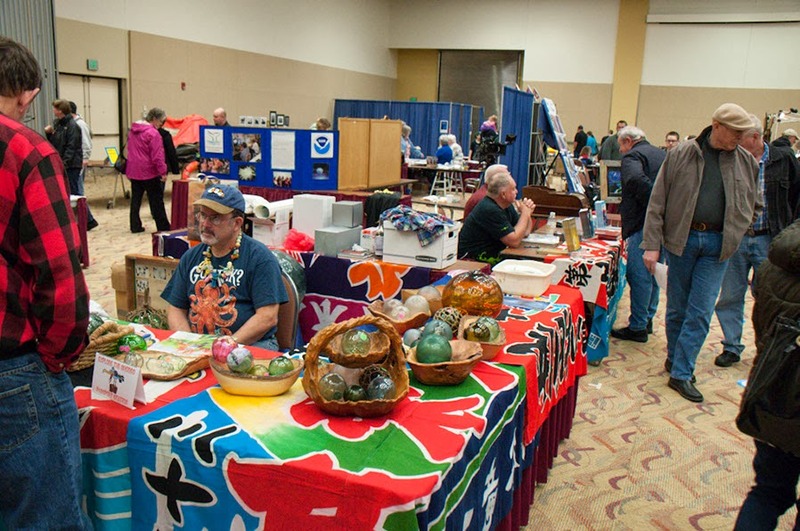 The 27th Annual Beachcombers’ Fun Fair at Ocean Shores, Wash., features exhibits, seminars, information booths and vendors on Saturday and Sunday, a kid's science fair Saturday morning, plus beach walks on Sunday morning. 2:00-7:00 p.m. -- ENTRY CHECK-IN -- Everyone is invited to bring their beachcombed items to the lobby of the Convention Center for check-in. There is no charge. All entries are eligible for ribbons. Entries must be in place for judging by 7:00 p.m. All entries must remain on display until 4:00 p.m. Sunday, March 2, 2014. Exhibit contributors will be admitted free. 8:00 p.m.-??? -- JUDGING -- The Convention Center will be closed to the public during judging. Ribbons will be awarded at that time. All entries are eligible for the People’s Choice Award , which will be awarded at 1:00 p.m. Sunday. 10:00 a.m.-12:00 p.m. -- EXPLORE THE SHORES -- Children are invited to participate in an interactive program that allows them to visit with scientists and specialists in a variety of beach- and ocean-related fields. Children will be admitted free only during the morning hours when accompanied by a paying adult. Prizes will be awarded to all who participate. 12:00-5:00 p.m. and 6:30-8:30 p.m. -- SEMINARS -- Hourly seminars will be presented for attendees. Your wristband will admit you free of charge. 10:00 a.m.-5:00 p.m. -- EXHIBITS and VENDORS -- View the many exhibits in 44 categories and vote for your choice for the Doc Bedilion award. Select an item for sale by one of the vendors. Glass balls or floats, driftwood creations, rocks or gems, jewelry, beachcombed items, books and a variety of beach-related items will be available. INFORMATION BOOTHS -- Visit the information booths and add to your knowledge of our coastal environment. Many scientists and specialists will be present. 9:00-11:00 a.m. -- Join Curt Ebbesmayer’s Dash for Trash or Treasure, or take a beach walk with Alan Rammer. 1:00 p.m. -- Winners -- The coveted Doc Bedilion People’s Choice will be awarded and prizes for the Dash for Trash or Treasure will be announced. 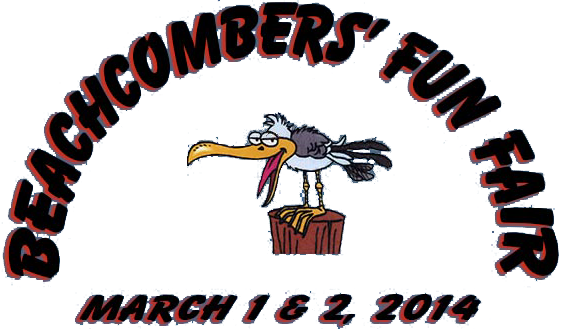 Entry to Beachcombers Fun Fair is $3.00 per adult, $1.00 per child ages 6-12. Children 5 and under, free.